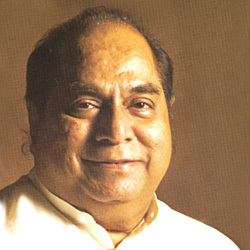 Dr. DY Patil, a Padmashree recipient, and former Governor of Bihar is the Founder of the DY Patil Group. His contributions to society through various educational, social and cultural initiatives are legendary. A firm believer in the expression 'Actions speak louder than words', his deeds reflect this philosophy in all spheres of life. He credits all his accomplishments to the blessings of Shri Sant Gajanan Maharaj of Shegaon and Shri Satya Sai Baba of Puttapurthi. Since assuming constitutional position, he has relinquished all this responsibilities at the DY Patil Group. He remains our guiding light and soul. Dr Ajeenkya DY Patil is the President of Ajeenkya DY Patil University and Chairman of Ajeenkya DY Patil Group (ADYPG) and holds leadership positions in several other organizations such as Vice President, Continental Medicare Foundation, Managing Director, Trancefx Studios, Vice President, DY Patil Educational Academy, Trustee, DY Patil Education Society and President Ramrao Adik Education Society. He is Pro-Chancellor of Dr. DY Patil University at Navi Mumbai. 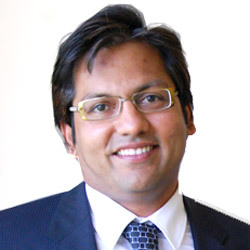 Dr Ajeenkya DY Patil has a Master's in Business Administration from Richmond College, UK. He has been awarded an Honorary Doctorate by University of Central Lancashire, United Kingdom, for his outstanding achievements in the fields of education, healthcare and social services. His illustrious list of achievements includes being appointed as Chairman, Central Board for Workers Education (CBWE) by Ministry of Labour, Government of India. The Hon. 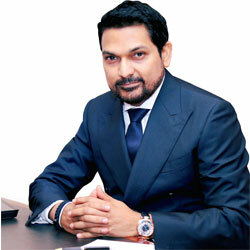 President of Guyana appointed him to be the Economic Adviser. During July 2007 and April 2010 he was nominated as Chancellor's nominee on the Management Council of University of Mumbai. Mr. Vijay D Patil is an eminent educationist, seasoned leader and an avid patron of sports. He holds a Master of Business Administration from Bond University, Australia and a bachelor's degree in Engineering. In his capacity of being the President of DY Patil University, Navi Mumbai he guides the academic and institutional planning process and ensure the effective implementation and follow-up of the results of that process. He is committed to stimulate and deliver a student-centered environment leading to the highest levels of student engagement, services and success. He has many stupendous successes to his credit. He was instrumental in establishment and commissioning of Padmashree Dr. DY Patil Hospital & Research Centre, a super specialty 900-bed charitable hospital from concept to commissioning. His landmark achievement, the shining example of his vision and leadership is the establishment of the state of art Dr DY Patil International Sports Stadium at Nerul. The stadium has been rated as one of the 6 best stadiums in the world and has been honored with the 'Best Stadium Experience' award during the IPL Awards 2010.